Assembly – versioned (for ex. 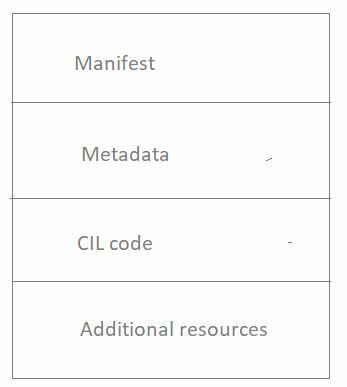 1.0.0.0), self described( has manifest, links to other external assemblies, info about all types) binary, supported by CLR (Common Language Runtime). One EXE is divided in may exe, dll files. Assembly defines type borders. Example. Both MyCars.dll and YourCars.dll has CarLibrary that has SportsCar class. It will be 2 different classes. Private assembly – in the same catalogue with client app. Type metadata – where in binary types ? Additional resources for pics and other files. Also satellite assemblies possible. Advantage – can be loaded when needed (dynamically), allows use different programming languages (like dll in Delphi).